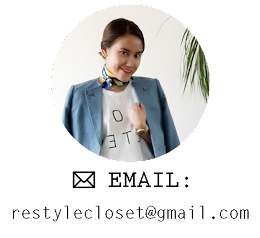 RestyleCloset: Bomber Jacket is Back! Hi everyone! 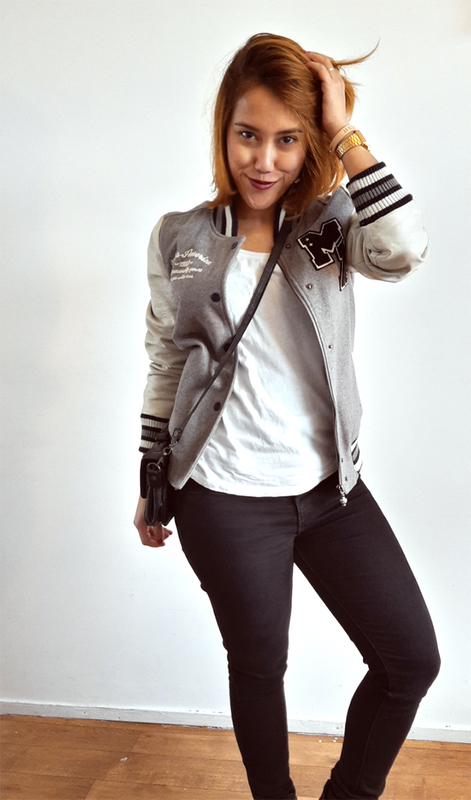 Today's post, I would like to share my style with my bomber jacket from Miss America that I just found it in my closet (hiding somewhere :P) and apparently it's perfect for weather this days in the Netherlands. It's still cold outside but not freezing either. So this jacket is absolutely my best friend! Bomber jacket is actually good for every seasons and almost for all occasions. You can combine it with sweater underneath, sweat pants or even legging and high heels. Can you imagine that? Well, I guess almost every one has this type of jacket especially young people and most of the time they combine it with legging and sport shoes. So, this time I mix it with simple white t-shirt from ONLY, black pants from Bershka, my spring boots from Tally Weijl and vintage bag. Yes again another vintage bag that I found in second-hand market :D. It's simple look that you can wear anywhere you go or hangout with your friends. What do you think guys? I hope you like it! It's thursday and almost weekend. So I guess I have to say, have a nice weekend all!